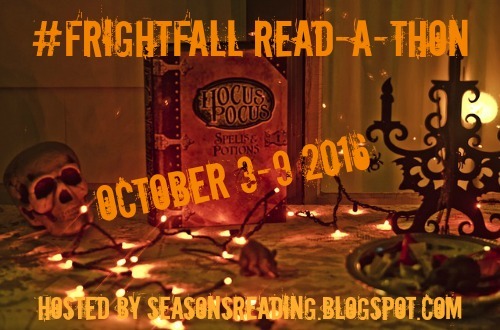 #FrightFall Read-a-Thon - Time to sign up! Fall is less than three days away and you know what that means! FrightFall is just around the corner. It's only two weeks away! Official dates are October 3-9. I hope you're ready to get your scary on! Guidelines for the read-a-thon can be found HERE or you can access in the tab at the top of the blog. Any information you need about the read-a-thon can be found there. Please do be sure to check the guidelines to make sure you're following along correctly. There are specific rules regarding signing up and wrapping up, especially in regards to the giveaway. Also, regarding the giveaway, I'll be again adding a Google form to capture names and email addresses so if you're interested in winning a prize (and you've met the sign up and wrap up criteria), I will ask you to fill in that form which will be located on the prize page. Just remember...the one main "rule" of FrightFall is that you must read at least ONE scary book (which can be a thriller, mystery, Gothic novel, or similar for those who are faint of heart). Our social media hashtag is #FrightFall. and we have our outstanding Facebook group which has become quite the reading community (there is also an access tab in the menu). I am looking for prize donations so if anyone would like to contribute, let me know. BREAKING NEWS!!! 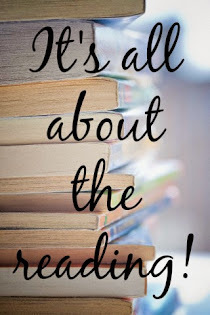 I have started a new reading community for reading challenges I host and read-alongs called Gather Together and Read. I also kicked off a new "challenging" perpetual reading challenge, 13 Ways of Looking at The Lifetime Reading Plan. Be sure to stop by and take a look. You can sign up for any of the reading challenges listed in the sidebar menu. I'm so excited about this new community site! Thanks for joining us for FrightFall!